Jumping Jacks Community Preschool has been established and on the current site since 1986. 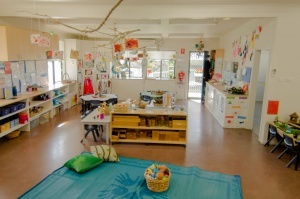 Since then, the Preschool has undergone physical changes over the years, including updating indoor facilities, a new playground and established gardens. In 2013, our Centre received an overall rating of ‘Exceeding’ through the National Quality Standard and our reputation for providing quality care and education is recognised in the community. Feedback is continually received about the smooth transition our graduates make to the challenges of school life. This can be attributed to the professionalism of our staff and the mutual, respectful relationships formed with children and families. 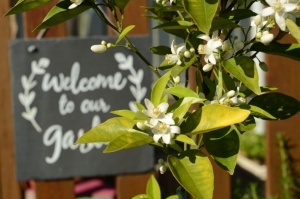 Our Centre is a Non-for-Profit organisation. This means that we are governed by a Management Committee, consisting of parents, who employ a Director to be responsible for the day to day running of the Preschool. The Director and Management Committee work in partnership to operate the business of the Service. Our Office Manager assists the Director, Committee and families with daily administrative tasks. Fundraising over the years has not only provided funds for additional equipment and upgrade of facilities, but has also provided an important link to bring our community together. All funds received are invested in the Preschool, as we believe that children are too precious for profit. Our Centre employs a higher ratio of staff to children than is required by Regulations. Professional development is undertaken by all staff to ensure skills are up-to-date and new ideas are shared with other educators and families. Jumping Jacks Community Preschool caters up to 40 children per day. Our licence allows us to enrol children from 3-6 years of age from the waiting list. Careful consideration is given to the placement of children, which includes grouping according to age. Three days per week is the maximum attendance. Children with additional needs, whether culture and /or ability challenged are placed where their needs will be best met. Jumping Jacks Community Preschool provides an important social environment, where children thrive when families, educators and the community work together. The EYLF (Early Years Learning Framework) Program provides opportunities for children to learn through play in a fun and educational setting. In consultation with families, our staff develop programmes for individual children based on their interests, needs and strengths. Activities are designed for children to extend their skills and further their development in all areas of the curriculum, which also encourages preparation for school. 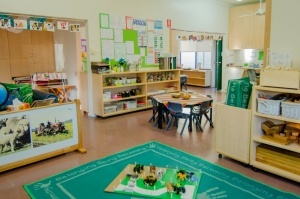 During the daily routine, the children are involved in free play activities and intentional teaching is provided in small groups and in large group lessons (music/language). At the end of a busy day ‘Relaxation’ provides a short period of time, where children can rest to soothing music, listen to stories, stretch to yoga and participate in quiet activities. A ‘slide show’ is displayed for families to view the children at play and the special events taken place during the daily routine. Families are welcome to spend time with their child during their day at preschool. A ‘Visit’ roster is provided where carers can choose a day to come and play, listen to their child’s news or meet with staff to discuss their child’s progress.